A mum shares her story. Mummy makeovers – a series of plastic surgery procedures, mainly to the breast and tummy area – are on the rise as women look for help to regain their confidence post-childbirth. It's no secret that pregnancy and childbirth, while gifting you true blessings, can also have a dramatic impact on your body. Breasts may be left enlarged or deflated once the days of breastfeeding are over, the body holds more fatty tissue and a stretched abdomen can leave you with baggy skin. While it's certainly true that our bodies are designed to accommodate the wonder of childbirth, what we're left with can often times have a huge impact on our self-esteem and comfort. For some women, despite the commitment to diet and exercise, they are simply unable to return to their pre-pregnancy bodies. While many embrace their new curves, others look for options to get them back to where they want to be. And that's where the mummy makeover surgery can help. After having two children in close succession, Amanda Falero was unhappy with the impact that the weight gain and loss had had on her body. At the age of 29, Amanda underwent a mummy makeover surgery that completely changed her life for the better. What's involved in a mummy makeover? Typically a mummy makeover will involve a tummy tuck and breast augmentation, reduction or lift. Sometimes vaginal rejuvenation and liposuction are also involved. "The breasts may need just a lift or often lift and augmentation surgery," explains Dr. Ross Farhadieh from Panthea Clinics. "The tummy usually needs a tummy tuck after family planning has been completed to tighten everything and remove any excess tissues." And it's mums, just like Amanda, who are coming to see Dr Farhadieh to address the issues that have been left as a result of pregnancy and childbirth. "Most mums having completed their family planning find that whilst their fitness levels have returned to pre-pregnancy and they have regained their normal weight that there are areas of redundant skin or loss of volume and droopiness in the case of breasts," says Dr Farhadieh. "The surgery helps them look like how they feel." Dr Ross Farhadieh says mummy makeover surgery helps women " look like how they feel". Image: Supplied. For Amanda, the impact of childbirth on her body was dramatic. Four months into motherhood with her first child, Oliver Amanda found herself pregnant again with her daughter Frankie. 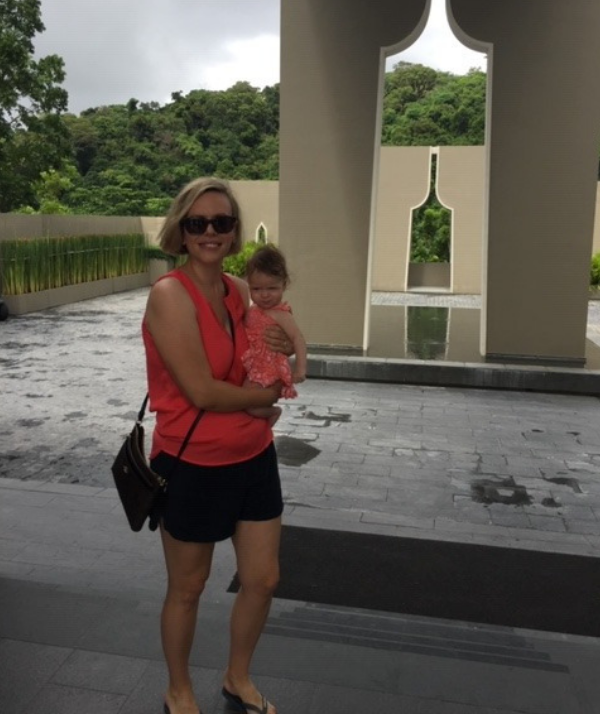 Originally 55kgs, Amanda's weight increased to 94kgs by the time she had her babies, something she attributes to not really getting the time to lose the baby weight the first time around thanks to the close pregnancies. Amanda was left with saggy skin around her breast and tummy areas, and it was affecting many areas in her life. 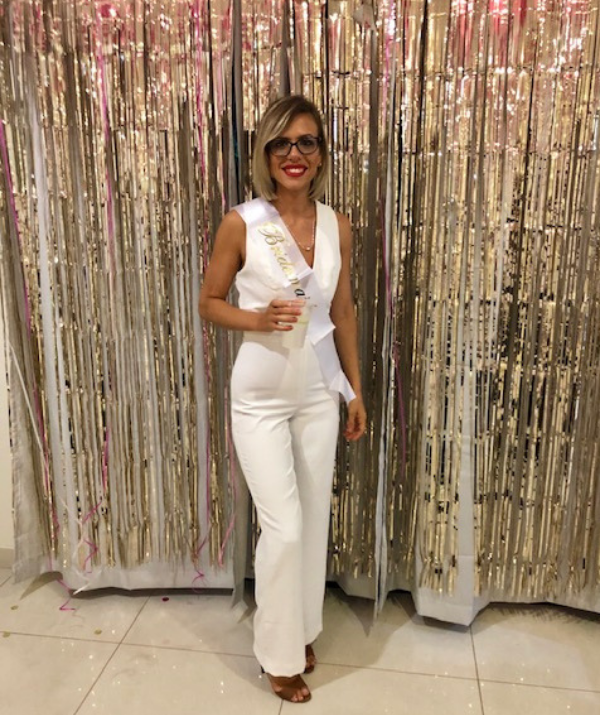 "I'm not a vain person, I was never planning on getting into a bikini," Amanda tells Now to Love, "I was just really struggling with how I felt in my clothes. That overhang of tummy really got to me, and even once I lost weight it was still there." After joining Facebook groups which spoke about mummy makeovers and tummy tucks, Amanda began to research the surgery options. "Joining the Facebook groups was great. They're really helpful and let you know how to prepare before you get to the surgeon so you know exactly what you're asking for." For Amanda the decision was not one she took lightly. "It wasn't a fast decision," explains Amanda. After her first consultation with Dr Farhadieh, Amanda went away to think about whether she really wanted to do it. Either way, she was determined to get to her goal weight before making any decisions. "The procedures are not really weight loss surgery," says Amanda. "If you can get to your goal weight first, the surgery will have the best results." After dedicating herself to daily boot camps and making lifestyle changes to get back to her pre-baby fitness, Amanda began to look into the surgery again. 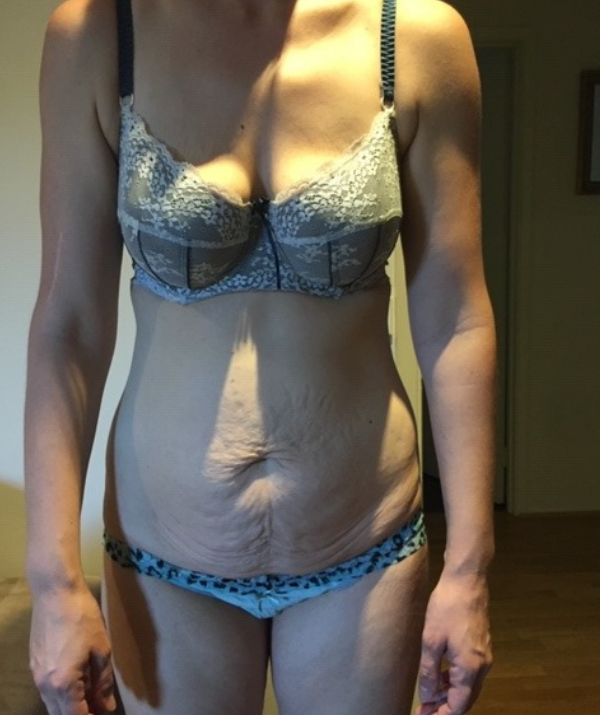 "I ended up going ahead, I had a breast lift and an extended tummy tuck which gave me a new belly button and removed about 700gs of skin." Recovery was surprisingly easy for Amanda, something that Dr Farhadieh is not uncommon. "There will be discomfort but the pain factor, from surveying our patients, has not been a major issue in most cases," he explains. Amanda stresses that it's important to have support when you are recovering, even if you feel fine. "I was able to go shopping for a few hours the day that I left hospital," she says. "But I did have support to help lift the children and get proper rest while I healed. "It was definitely a bit painful, but nowhere near debilitating." Post surgery, Amanda is feeling much more confident. Image: Supplied. What are the risks of a mummy makeover? "Like all surgery it has risk profile which is general and specific," explains Dr Farhadieh. "These are things that your surgeon should discuss with you at length prior to any surgery, and you should consider them carefully." One year and three months post-surgery Amanda has absolutely no regrets. "Now I don't have the overhang of the skin over my pants, and I can wear a push up bra for the first time and it works," she laughs. "My breasts are smaller so I can wear better tops, I'm much more confident than I was before. "I started Crossfit, which I thought was too intimidating before, but I love it now and I'm actually in the best shape I've been in my life."